*A Springtime Obsession (Deal, Not Free) by Denisa Carroll. Cost: $0.99. Genre: Clean Romance Deal, Sponsor, Christian Romance, Clean & Wholesome, Inspirational Romance, Contemporary Women. Rated: 5 stars on 1 Reviews. 285 pages. ASIN: B01DIIAWCG. Julia, a design consultant, goes to Venice for business. She is accompanied by her scatterbrained sister, who is going to the romantic city to chase after an old flame. In the city, things get complicated – Julia realizes that she will have to deal with the handsome executive who will allocate the contract. The Descendant (Guardians of the Worlds Book 1) by Ally Capraro. Price: Free. Genre: YA Fantasy Romance, Clean & Wholesome Romance, Paranormal. Rated: 4.1 stars on 31 Reviews. 222 pages. ASIN: B01CACV7LG. ***Cuts Like a Knife: A Novel (A Kristen Conner Mystery Book 1) by M.K. Gilroy. Price: Free. Genre: Suspense Thriller, Sponsor, Mystery, Clean Thriller, Women Sleuths. Rated: 4.6 stars on 123 Reviews. 418 pages. ASIN: B0131OJJSU. 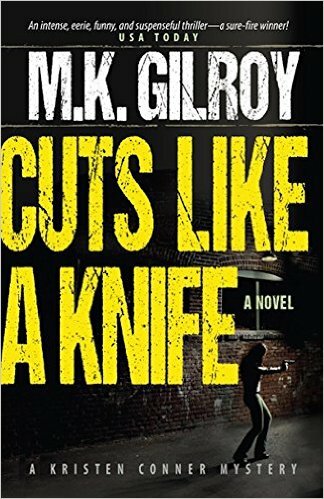 Reviewers love it: Gilroy can spin a yarn full of suspense and wry humor! I absolutely loved his writing style! The various plots are seamlessly blended! Reading this book, you know it is a start of something good! The language is clean and would be enjoyed by readers of all ages. Gilroy’s novel is rich, engrossing and one of the best in its genre! **Bistro La Bohème Box Set: What If It’s Love?, Falling for Emma, Under My Skin (Bistro La Bohème Series) (Deal, Not Free) by Alix Nichols. Price: $0.99. Genre: Clean Romance Box Set Deal, Sponsor, Humor, New Adult & College Romance, Inspirational Romance, Women’s Fiction. Rated: 4.5 stars on 58 Reviews. 737 pages. ASIN: B00VY6BOKY. Reviewers love it: Funny and cute! Besides getting three wonderful love stories, you get to “see” some of Paris and Russia! If you are looking for a well-written series to read, this is it! The author had me smiling and chuckling at the twists and turns! You can fall in love with it over and over again! A great addition to your romance collection! Free Clean Thriller & Mystery! ***Cuts Like a Knife: A Novel (A Kristen Conner Mystery Book 1) by M.K. Gilroy. Price: Free. Genre: Not Christian Just Clean Thriller, Sponsor, Mystery, Clean Thriller, Women Sleuths. Rated: 4.6 stars on 123 Reviews. 418 pages. ASIN: B0131OJJSU. Reviewers love it: Gilroy can spin a yarn full of suspense and wry humor! I absolutely loved his writing style! The various plots are seamlessly blended! Reading this book, you know it is a start of something good! The language is clean and would be enjoyed by readers of all ages. Gilroy’s novel is rich, engrossing and one of the best in its genre! *Montana Man by DeAnn Smallwood. Price: Free. Genre: Clean Romance, Western Historical Romance, Westerns. Rated: 4.4 stars on 19 Reviews. 230 pages. ASIN: B00TWMKA0C. *A Winter Connection by Denisa Carroll. Price: Free. Genre: Not Christian Just Clean Romance, Sponsor, Clean & Wholesome Romance, Contemporary Romance, Women’s Fiction, Inspirational Romance. Rated: 5 stars on 1 Reviews. 306 pages. ASIN: B01A3BYHGS. Brynn’s life seems to have gone wrong all at once. A cheating boyfriend gone, a wedding cancelled, and so much more. She is persuaded to go back to Yorkshire, to the Dales farm where she was raised, to sort out her life. One thing she is certain of, whatever her prospects, they certainly won’t involve any man. Until she meets Jake, that is. Jake is an arrogant vet who seems to have other plans for her. A Sweet Romance – Dating & Dessert by Cassie Page. Price: Free. Genre: Clean Romance, Romantic Comedy. Rated: 4.5 stars on 4 Reviews. 146 pages. ASIN: B012UUSD8S. $1 Clean BWWM Romance Box Set! **When A Man Loves A Woman (Seven Brides Seven Brothers Book 7) by Belle Calhoune. Price: Free. Genre: Contemporary Christian Romance, Inspirational. Rated: 4.8 stars on 56 Reviews. 163 pages. ASIN: B011J6ZTE0. *Blind Sight by Emma Palmer. Price: Free. Genre: Christian Romance, Amish, Christian Fiction. Rated: 4.6 stars on 12 Reviews. 101 pages. ASIN: B00QSMXG2I. Excellent Free Christian Futuristic Fiction, Free Kindle Clean Books, Deals for Thursday! Excellent Free Christian Futuristic Novel! 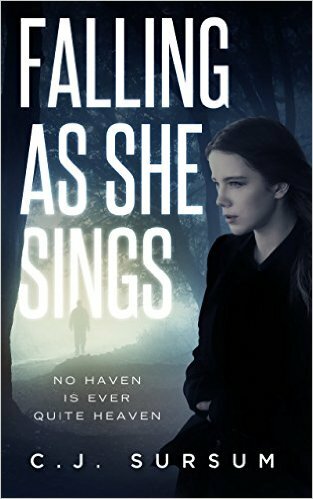 *Falling as She Sings: A Novel by C.J. Sursum. Price: Free. Genre: Clean Futuristic Fiction, Sponsor, Metaphysical, Science Fiction, Metaphysical & Visionary. Rated: 5 stars on 5 Reviews. 356 pages. ASIN: B01A3IBAE8. Reviewers love it: This is a great story with interesting characters! It is a laboratory where a fascinating thought experiment is conducted! I was blown away by this novel, and I seldom feel that way! I am so glad I read it! It has some sprinkling of drama and spectacular quality! *Christmas Treasures by Patty Wysong. Price: Free. Genre: Clean Fiction Anthologies, Inspirational. Rated: 4.6 stars on 24 Reviews. 199 pages. ASIN: B00PKLJQ2M. Unexpected Mercy (Havens Creek Series Book 4) by Carol Ann Erhardt. Price: Free. Genre: Clean Romantic Suspense, Contemporary, Inspirational. Rated: 5 stars on 5 Reviews. 219 pages. ASIN: B017P7Z78U. Christian Romance Box Set by Skyler Byrne. Price: Free. Genre: Clean Romance, Amish, Collections & Anthologies. Rated: 4.3 stars on 4 Reviews. 178 pages. ASIN: B018WPVV52. ***A Melody for James (Song of Suspense Book 1) (Repeat) by Hallee Bridgeman. Price: Free. Genre: Clean Christian Mystery, Suspense. Rated: 4.8 stars on 108 Reviews. 323 pages. ASIN: B00DE85KHI. Posted on March 24, 2016 Author KibetCategories Clean, Clean & Wholesome, Clean Christian Romance, Clean Kindle Romance BooksLeave a comment on Excellent Free Christian Futuristic Fiction, Free Kindle Clean Books, Deals for Thursday! Free Kindle Clean Romance – Pick your free Clean Christian Romance (Amish) Here! Married in Sugarcreek by Anna Fisher. Price: Free. Genre: Clean Christian Romance, Amish. Rated: 4.3 stars on 33 Reviews. 346 pages. ASIN: B00VT0H6QG. Posted on March 22, 2016 March 22, 2016 Author KibetCategories CleanTags AmishLeave a comment on Free Kindle Clean Romance – Pick your free Clean Christian Romance (Amish) Here! 2 Excellent Free Kindle Clean Christian Romance for Monday! Summer Under My Quilt by Crystal Sellers. Price: Free. Genre: Christian Romance, Contemporary, Romance, Inspirational. Rated: 5 stars on 5 Reviews. 217 pages. ASIN: B018ZSRA8S. Posted on March 21, 2016 Author KibetCategories Clean Christian RomanceLeave a comment on 2 Excellent Free Kindle Clean Christian Romance for Monday! 4 Awesome Clean & Wholsome Kindle Books for Saturday! *Lance McTavish Home To Texas (Tumbleweed, Texas Tales Book 1) by A J Hawke. Price: Free. Genre: Christian Romance, Contemporary, Western & Frontier. Rated: 4.8 stars on 11 Reviews. 319 pages. ASIN: B0178YBBFI. *Erve and Lizzie by Linda DuBose. Price: Free. Genre: Historical Christian Fiction, Religious. Rated: 5 stars on 7 Reviews. 178 pages. ASIN: B017XV23O4. Trespassing On His Heart (Valley Ridge Romance Book 1) by Mary J Hicks. Price: Free. Genre: Christian Romance, Contemporary, Women’s Fiction. Rated: 4.6 stars on 8 Reviews. 339 pages. ASIN: B015HW47C2. Bunyan Characters (3rd Series) by Alexander Whyte. Price: Free. Genre: Chrian Books, Church History, Religion & Spirituality. Rated: 4.6 stars on 5 Reviews. 197 pages. ASIN: B01C8NT6Q0. Posted on March 19, 2016 Author KibetCategories UncategorizedLeave a comment on 4 Awesome Clean & Wholsome Kindle Books for Saturday! Excellent Free Kindle Clean Books for Thursday! ***God’s Favorite Place on Earth by Frank Viola. Price: Free. Genre: Christian Books, Personal Growth, Religion & Spirituality. Rated: 4.7 stars on 178 Reviews. 208 pages. ASIN: B00C62S4VC. *Ricky (Mail-Order Brides Club Book 5) by Ashley Merrick. Price: Free. Genre: Clean & Wholesome Romance, 20th Century, Western. Rated: 4.7 stars on 26 Reviews. 183 pages. ASIN: B011X3ONUU. Makkarios: Come Together by H.M. Snow. Price: Free. Genre: Fantasy, Science Fiction & Fantasy, Paranormal & Urban. Rated: 5 stars on 4 Reviews. 306 pages. ASIN: B006PTFOXS. Posted on March 17, 2016 Author KibetCategories UncategorizedLeave a comment on Excellent Free Kindle Clean Books for Thursday!